The following guide will help you sign up for Google. We’re happy to do this for you if you like, but it may take longer if Google send verification codes to your cellphone. Click on the images to make them bigger. Step 1: First go to the Google Apps for Business sign-up page. 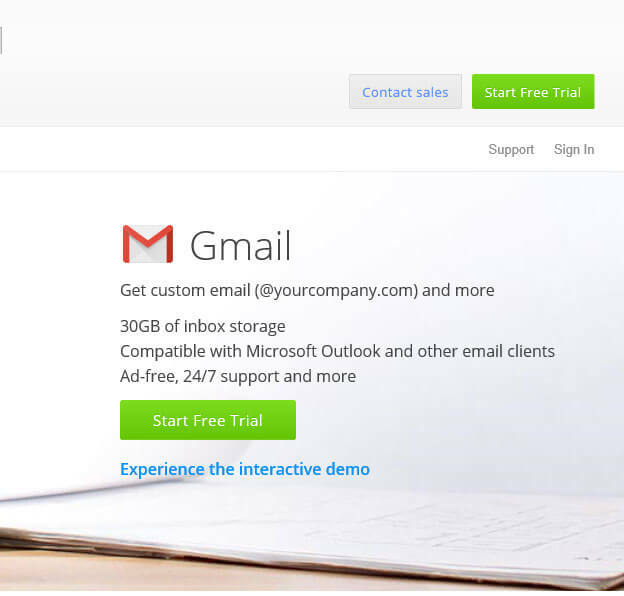 Click on the green “start free trial” button. 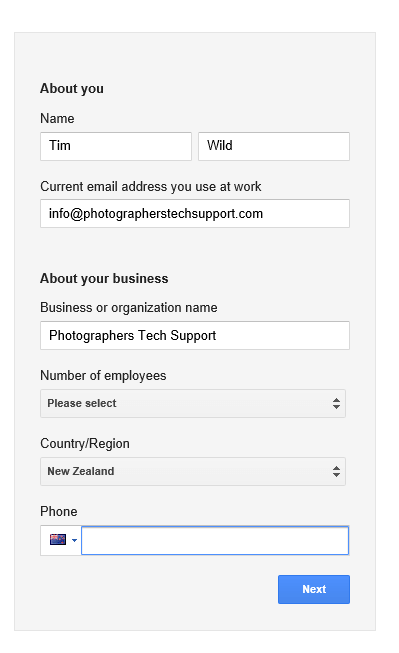 Step 2: Enter your details and your website’s details, we’ve given an example below. 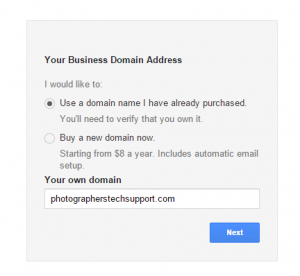 Step 3: Since most customers will already have their own domain choose “use a domain I’ve already purchased”. If you don’t have a domain already you can use the second option, we suggest getting in touch if you would like help getting a website set up as well. Step 4: Enter your domain name. 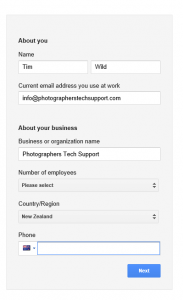 Step 5: Enter the primary email address for the domain – this will be your login to Google. Enter a password, preferably a temporary password as you’ll have to give this to us to continue the setup. You must select the bottom checkbox, but the other is optional. 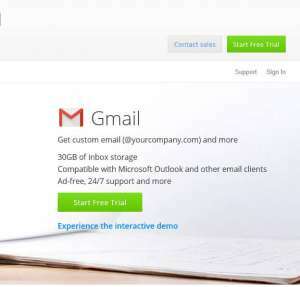 NB: you have a 30 day free trial to Google Apps/Gmail for business. We suggest you make a calendar reminder for yourself to pay the bill two weeks from your sign up date, so you can be sure it’s working and to ensure you don’t lose service.